Comments Off on Transfer of Property Act, 1881–Exchange of Land—Plea of fraud—Once the document of exchange was a registered document and that even at the time of mutation no objection was raised, the appellant cannot now take the plea of fraud. Comments Off on Transfer of Property Act, 1881-Oral Transfer-Concept of oral transfer is not applicable in Punjab since 1977—Consequently, any transfer which had to be made could only have been made by a registered document– A resolution followed by a mutation could not pass the title from the school in favour of any person. Comments Off on Transfer of Property Act, 1881, S.60—Redemption of Mortgage—Usufructory Mortgage—The mortgage was a usufructuary mortgage with delivery of possession and there was no period prescribed for redemption of the mortgage- -In such case, the period of redemption does not begin to run till mortgagor requests for redemption and mortgagee refuses to redeem. Sale Deed—Setting aside of—Existence of suspicious circumstance is no ground to set aside the validity of same. Comments Off on Sale Deed—Setting aside of—Existence of suspicious circumstance is no ground to set aside the validity of same. Transfer of Property Act, 1882, S.117-Applicability to Agricultural lands– In view of Section 117 of Transfer of Property Act none of the provisions of this Chapter apply to lease for agricultural purposes except insofar as State Government may by notification published in the Official Gazette declare all or any of such provisions to be so applicable. Comments Off on Transfer of Property Act, 1882, S.117-Applicability to Agricultural lands– In view of Section 117 of Transfer of Property Act none of the provisions of this Chapter apply to lease for agricultural purposes except insofar as State Government may by notification published in the Official Gazette declare all or any of such provisions to be so applicable. 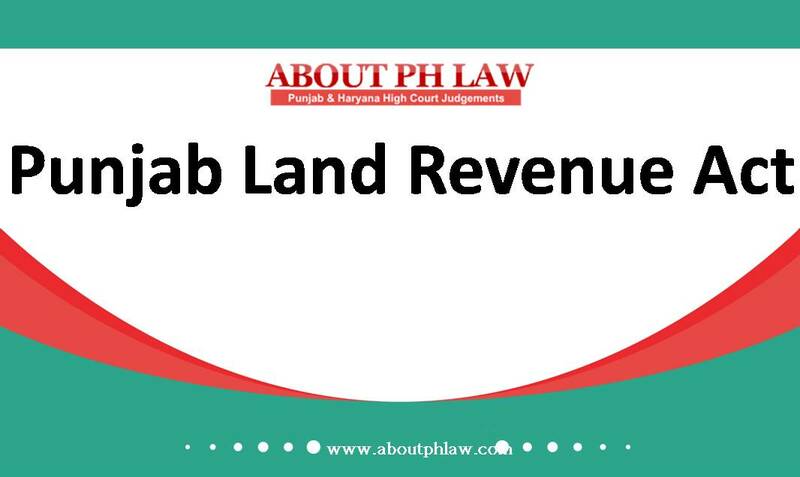 Transfer of Property Act, 1882, S/106–Notice–Provisions of S.106 TPA are not applicable in the State of Punjab, however only equitable principles are applicable in the State of Punjab. 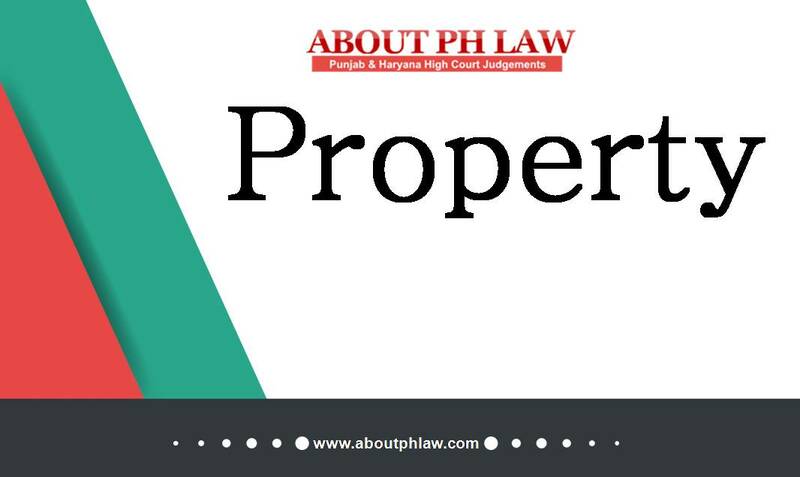 Comments Off on Transfer of Property Act, 1882, S/106–Notice–Provisions of S.106 TPA are not applicable in the State of Punjab, however only equitable principles are applicable in the State of Punjab. Condonation of delay—Allowing of leave to appeal does not amount to allowing application for condonation of delay by itself. Comments Off on Condonation of delay—Allowing of leave to appeal does not amount to allowing application for condonation of delay by itself. Transfer of Property—Terms of unregistered lease deed/agreement if are contrary to the provisions of S.I06 TP Act can be relied upon only if the agreement was a valid contract. Comments Off on Transfer of Property—Terms of unregistered lease deed/agreement if are contrary to the provisions of S.I06 TP Act can be relied upon only if the agreement was a valid contract.